Crash in the alps last week already costing Lufthansa millions in compensation fees; analysts speculate over possible lawsuits. 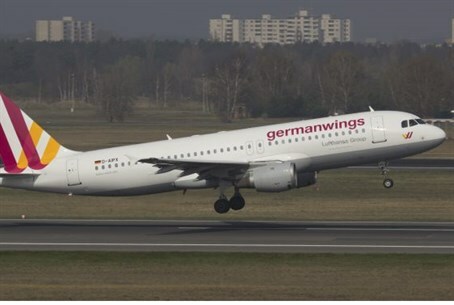 The Germanwings crash story has gained another wrinkle on Sunday - this time, as analysts predict large lawsuits against parent company Lufthansa. On Tuesday, Germanwings co-pilot Andreas Lubitz may have intentionally crashed an Airbus into the French Alps, killing 150 people. Lufthansa is already providing initial financial support to the families of each victim, which financial expert James Healy-Pratt told CNN Money last week could amount to roughly $50,000 per family. While the 1999 Montreal Convention states that airlines must pay up to $156,0000 per victim in the event of any air crash, it could pay more than that amount if it is found somehow responsible for the crash - and that amount could reach billions of dollars in the event families decide to sue. In addition, German law states that the airline must compensate families with 20,000 euro (about $21,800), according to Israel Hayom. Speculation over a possible lawsuit is rife after Bild reported last week that Lubitz may have intentionally crashed the plane, and that he had a history of suffering "depressions and anxiety attacks" that Germanwings may have ignored. However, Bruce Ottley, co-director of the International Aviation Law Institute at DePaul University College of Law, stated to Business Insider on Friday that the likelihood of a lawsuit or a big payout is low, as most airlines choose to settle legal claims before legal battles get heated. "Very rarely do these things ever, ever go to trial," he said. Other experts disagreed, noting that Germanwings could have problems establishing a defense relieving them of liability for the crash after news of Lubitz's spotty mental health history became known.